Getting 3D on your phone usually means either buying a totally new 3D handset or using some sort of glasses that make you look insane. This, though, kills two birds with one stone. 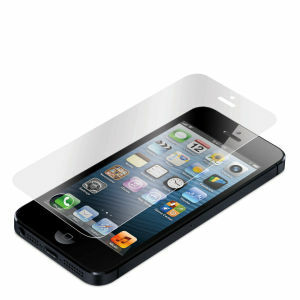 Firstly, it’s a great screen protector for your iPhone, and secondly it’ll make your screen 3D too. Costing £17.99, it uses nano lenses to send a slightly different image to your left and right eye, so you get that 3D experience. It’s similar to the glasses-free 3D experience we’ve seen on 3D smartphones previously, but now you get to retro fit it and stop your screen getting scratched at the same time. The EyeFly Protector, when fitted, keeps the screen brightness and clarity, plus you can carry on using the phone as normal with no noticeable difference. Search for “eyefly3d” in the iTunes store to get the apps which will switch your 2D content into 3D. You can also enjoy 3D YouTube videos too. If you fancy one, check it out here.